The moderator for this one is Jack Haringa, and my fellow panelists are Jennifer Barnes, Karen Bovenmyer, Nicole Cushing, and Paul Tremblay. 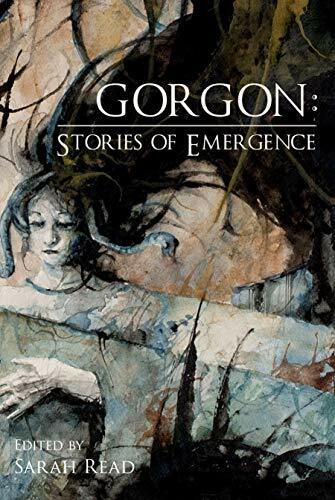 I was on a Shirley Jackson panel at NecronomiCon last August, where Jack was the moderator and Paul was a panelist, so I already know this one is going to be a lot of fun. I’m also super excited to meet Jennifer, Karen, and Nicole; I know their work, and it will be great to get to know them too! 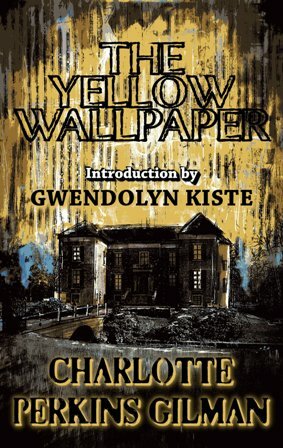 Also, I could basically talk about Shirley Jackson all day, every day for the rest of eternity. So yeah, this panel will definitely be a great time. I’m moderating this one! I know, right?! I grew up on Hammer and Universal films, so to get to lead a panel in a discussion about the movies that really shaped my childhood and my love of horror is so cool that I’m truly giddy about it. Also, if that wasn’t cool enough, the panelists are Ramsey Campbell, Michael Gingold, Christopher Golden, and Amanda Trujillo. Obviously, with huge names like that, the pressure’s on for me to do well, so light a candle for me, will you? I prefer Creature from the Black Lagoon green, thank you. The moderator here is Leslie Thomas, and my fellow panelists are Edward Ahern, April Grey, Charie LaMarr, and Trisha Woolridge. Anyone who is at all familiar with me or my work already knows how much I love fairy tales and all the darkness and creepiness contained therein. With this one, I’m not-so-secretly hopeful that the conversation will steer toward Angela Carter’s work for at least a moment since her dark fairy tales are among my favorite stories of any genre. Just in case panels aren’t enough for you, you can also see me spouting off my fiction, most likely in a rather animated voice (hey, that improv and acting background has to help me somewhere in life). 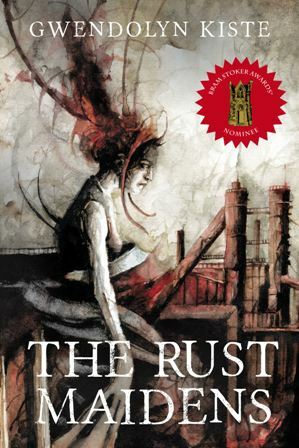 I will be reading one of the flash pieces from my collection as well as teasing an excerpt from my novel, The Rust Maidens. Authors Marc Abbott and John F.D. Taff are also in the 4pm reading block, and I can’t wait to hear them read their work! And finally, on Saturday night, Bill and I will be attending the Stoker Awards ceremony! EEEE!!! 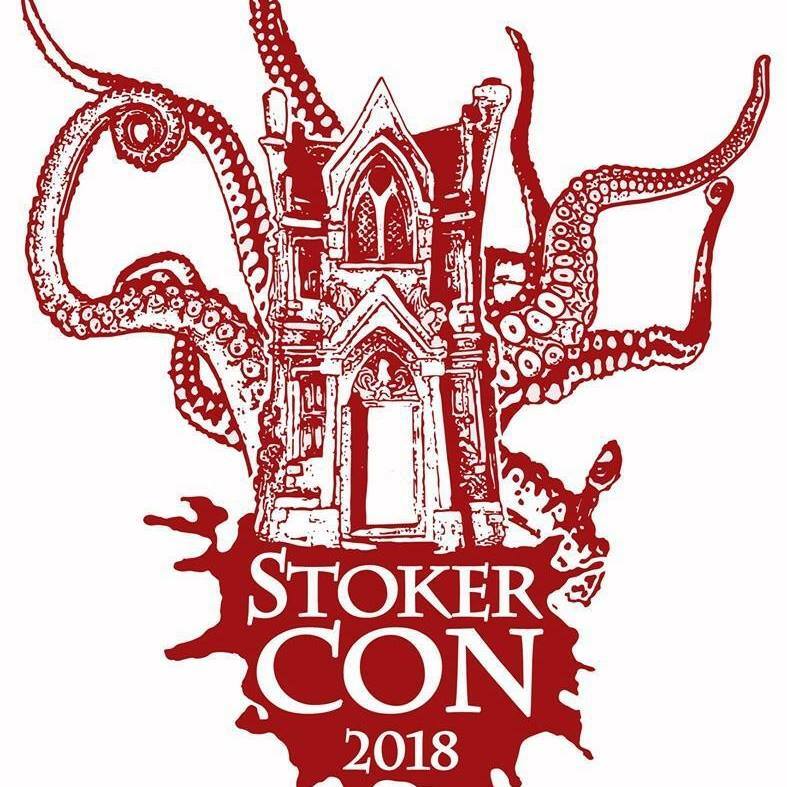 I’ve always wanted to go to the Stokers, and um, you might have heard, but this year is a bit special to me (as in very, very special). 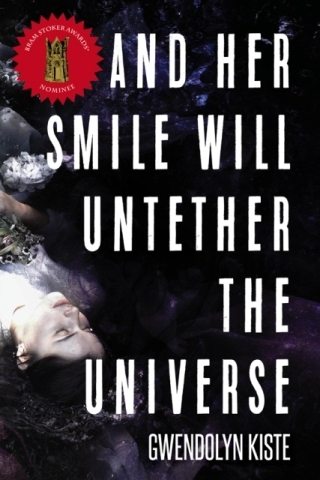 I’ve talked about this a lot already on social media—talked so much, in fact, that people are probably sick of hearing about it—but I very much want to announce it here too: my collection, And Her Smile Will Untether the Universe, is nominated for a Bram Stoker Award for Superior Achievement in a Fiction Collection! That’s an insane sentence to type out, but here’s a link to the final ballot in case you need external verification. Also, because I have the best editor in the world, she also put together that updated cover you see to the left with an official Stokers seal and everything. Thanks, Jess! Happy reading, and see you in Providence! This entry was posted in Events, Fiction on February 20, 2018 by gwendolynkiste.